In the days leading up to Valentine’s Day I couldn’t help noticing the blizzard of florist ads on TV, the internet, and print media. Ahh, flowers. There’s just something about receiving a fresh bouquet of flowers that makes the heart smile. If you’re like me, perhaps the thrill is due in part to the rarity of such an occasion. The recent barrage of ads encouraging the public to “Give flowers” as an expression of affection made me curious about the practice, so I did a little research on the subject. Turns out if you lived in the 19th Century and received a bouquet of flowers, you might want to take a closer look at those posies in hand before turning all gooey inside and gushing your thanks and appreciation. In the Victorian age, flowers, as well as a vast array of greenery, herbs, and spices spoke a silent, now long lost language of their own. If you’ve ever received a dozen red roses on Valentines Day or your birthday, you’re probably aware that flower symbolizes love. For most of us, that’s about the extent of our modern knowledge of “flower language.” But what if the roses were pink, yellow, or white? Or what if they weren’t roses at all, but lilies or hyacinths? And what about those sprigs of baby’s breath tucked in among the roses? Are they simply to accent the other flowers' brighter colors, or are they conveying a silent message of their own? The Victorians wouldn’t simply throw together a nice-looking handful of flowers. No ma’am! They had it all down to a science. They could silently convey messages by presenting combinations of carefully chosen blossoms. Even the way the flowers were presented could make a huge difference in the conveyed message. The size and grouping of the flowers and whether the posies were presented in the right or left hand, upright or upside down could all drastically nuance your floral communication. Consider the vast combinations possible and it’s enough to make your head explode! It’s no wonder they had special dictionaries of “floriography” to help keep all this stuff straight. Even with their pocket references at the ready, it’s easy to imagine myriad miscommuniqués. Why, offer a poorly crafted tussie-mussie (small bouquet wrapped in a lace doily tied with a satin ribbon) or wave a hankie scented with the wrong floral fragrance and calamity could ensue. I can imagine a dapper young man of the 1850’s, tussie-mussie in hand, smilingly striding up to the object of his affection. The young lady glimpses the posies in her suitor’s grasp and her expression registers surprise, confusion, and anger in quick succession. “Buttercups, red geraniums, and basil?” She snatches the bouquet, flings it to the ground, and stomps on it. “So you think I’m ungracious and stupid and you hate me? Well I never!” She tromps off, leaving the hapless young man as crushed as the bouquet at his feet. 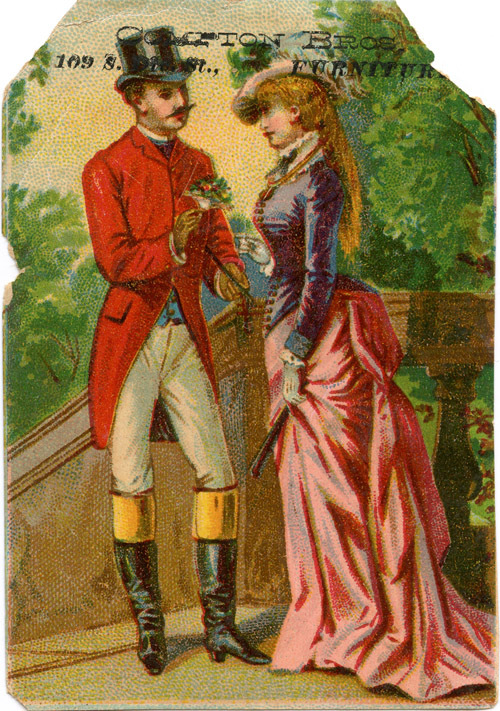 On the other hand, a young lady could scent herself with honeysuckle or lavender and unintentionally fan the ardor of any number of gentlemen. Seems to me, maneuvering a Victorian flower garden could be as dicey as traipsing through a mine field. Makes me glad I came of age in the Twentieth Century instead of the Nineteenth. Though the notion of “speaking through flowers” may be a romantic one, it’s probably for the best that the art of floriography has long ago been relegated to the compost heap of history. 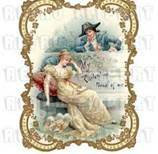 The courting crowd today has enough problems with miscommunication in this age of U-Tube and e-mails. You’d hate to think your relationship was done in by a rogue geranium. 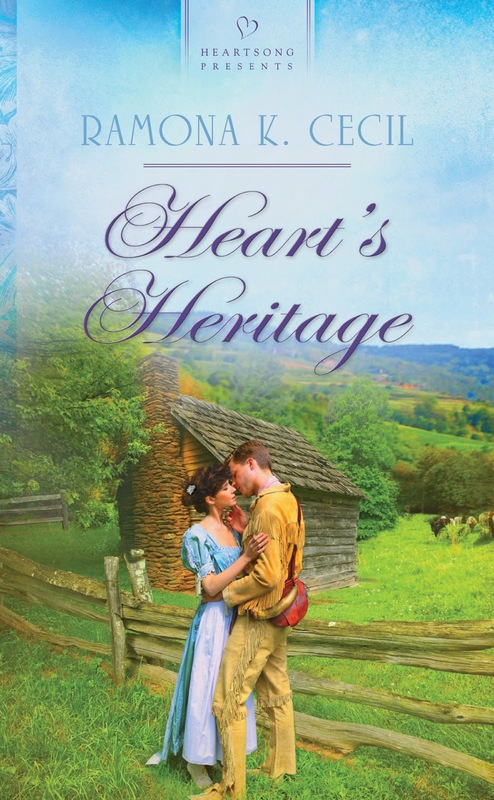 Comment on this article and win a copy of my new book, Heart's Heritage. Sampling of flowers and their meanings from A Victorian Flower Dictionary: The Language of Flowers Companion by Mandy Kirkby. Ramona K. Cecil is a wife, mother, grandmother, freelance poet, and award-winning inspirational romance writer. She lives in southern Indiana with her husband. Her publishing credits include Sweet Forever, Everlasting Promise, Charity’s Heart, and Heart’s Heritage, all published by Barbour Publishing’s Heartsong Presents line. Also published by Barbour are two novellas; To Hear Angels Sing, part of A Woodland Christmas, and Simple Gifts, part of A Quaker Christmas and a trade-length novel, A Bride’s Sweet Surprise in Sauers, Indiana. When not writing, she enjoys reading, gardening, and visiting places of historical interest. Annie Blanchet Martin would rather die than sell her inheritance; her co-inheritor, Brock Martin, may die if she doesn’t. Set against the Indiana wilderness of 1812, a teenaged widow and a soldier fleeing a false charge of murder discover they have more to lose than the land bequeathed to them. Hi Lady! Oh yes, the fans. I'd forgotten about that. It seem to me it would have been a whole lot simpler to just "speak" your feelings. LOL Thanks for stopping by. Good luck in the drawing! Those poor guys! Yet it is such a beautiful way to express feelings. Today, we are just happy to get flowers at all. Thanks for sharing this information. I found it very interesting. Hi Nancy! I'm glad you enjoyed the article. I'm with you. I'll take any flowers whenever I can get them. You won't find me looking a gift-flower in the mouth. . .or whatever. LOL Thanks for stopping by, and good luck in the drawing. Wow Ramona! Who would have thought! I guess the man needed to know his flowers! And woe to the woman who loved Tansys or Yellow Carnations. Hi Debbie Lynne! It does makes me wonder if those guys kept a little pocket version of a flower dictionary on them at all times. And yes, it made me sad to find that some of my favorite flowers had less than positive meanings. I've always loved tiger lilies, but now I don't know if I'll ever look at an orange lily the same way. I just learned more about the meaning behind flowers when I read, Vanessa Diffenbaugh's, The Language of Flowers. I love what's written here about the dogwood. " dogwood. . . . . love undiminished by adversity." It's in our front yard and ever so true. Hi Connie! Thank you so much. I'm glad you stopped by. Good luck in the drawing, but either way I hope you get to check out Heart's Heritage. I really enjoyed reading the meaning behind the flowers in the Victorian Age. I had no idea a flower could mean so many things. Hi Katie! Neither did I. I'd be interested to know if some of the floriography is still adhered to among English high society. If anyone knows, chime in. Thanks for stopping by, and good luck in the drawing! Like a previous commenter, it does remind you of how women spoke through fans. I learned a little about that in my theater class, Period Styles. Very interesting. This sounds like a great book. Thanks for having the giveaway. Hi Rose! You ladies have really piqued my interested in the "fan language." I'll have to look into that. Thanks for the kind words about my book. Good luck in the drawing! Hi Leann! I'd be fascinated to learn how different flowers got their names. Hmmm. . .maybe another blog idea. :) Thanks for stopping by and good luck in the drawing! I like learning the meaning of flowers. It makes it fun when I see people buy them for others to see what they were saying, whether they meant it or not. I'm a flower-lover, too, Eliza. I first delved into the subject of floriography a few years ago when writing my book Charity's Heart. I needed to know the meaning of the flowers the bride carried in her bouquet. I have read stories before on the different colors and flower meaning but have not found much information on the subject. This was an interesting post. I found that Ramona and I have something in common. We both live in southern Indiana. I would love to win. Hi Deanna! I'm always thrilled to meet a fellow Hoosier. I actually live in Seymour. I'm glad you enjoyed the article. I think you'd really like Heart's Heritage. I patterned the fictional setting, Deux Fleuves, after Vallonia, Indiana. Good luck in the drawing! I enjoyed reading your post and seeing what the meanings of the flowers were. I like lilacs the best. Thanks, Angela. I love lilacs, too. The scent is heavenly! I had a bush in my back yard for several years, but a couple years ago it died. Not really sure why. Think maybe I'll plant a new one this spring. :) Thanks for stopping by and good luck in the drawing. I love lilacs also but growing flowers....I'd better stick to the kitchen! Would love to read your book! Wow, I am so glad that flowers don't hold that kind of power anymore. Great post. Thanks for sharing...God bless. Hi, Debbie! Me, too! LOL I can't imagine having to keep all that straight! Glad you enjoyed the article. Good luck in the drawing. Ramona, I love the information here. I wonder if this began in the 19th century or it started further back in time. What a wonderful and interesting article about the history of flowers. I hope my now dh would have given me pholx.I am glad that men had the flower dictionary to help them out! Hi, Sue! Well, thank you. I appreciate that very much. I can see how it might have been easier for the more shy guys to simply hand over a bouquet of flowers than to verbally express their feelings, but the miscommunication possibilities would have been rife. Probably why the practice fell out of favor. 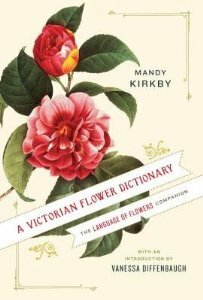 A Victorian Flower Dictionary: The Language of Flowers Companion by Mandy Kirkby. I am going to have to look this up. Interesting little books! Please enter me for the drawing for your Heart's Heritage! Blessings to you. k.
Thank you very much, Lane! I'm glad you enjoyed the article. Congrats on winning the tulips! I'm sooo looking forward to the tulips blooming around here. The thought of blooming tulips makes me ache for Spring. The ground is covered with new snow today. You will certainly be entered in the drawing. Good luck! Great post, Ramona! So, do you think most of the men were aware of what the flowers meant? Thanks, Vicki! I think most of the men in upper society had to. Just about everybody in what was called "nice" society owned a copy of the floriography dictionaries. Probably not so much among the working class, but even they would have been better versed in flower language than your average Joe today. I think this language of flowers is very interesting, but I'm glad we no longer have to follow it. I'd much rather give (or receive) flowers that I like because of the shape, color, or smell and not have to worry about the meaning of the flowers. Me, too, Pam! I think many of the flowers listed with negative meanings are beautiful. Guess I'm just a gal who has rarely met a flower I didn't like. Very interesting! My favorites are yellow roses (infidelity) and daisies (innocence)--LOL! Hi, Kay! Yellow roses have always been one of my favorites, too. I'd always heard the yellow rose referred to as the "peace" rose. I had no idea about the infidelity connotation. The "innocent" daisy thing makes more sense, though. Hi, Martha! I'm glad the yellow rose meaning has been lost over time as well. Thankfully, people only admire the flower's beauty nowadays. I didn't have time or space to list all the flowers in the dictionary, but Camellia is listed in the book. It means "my destiny is in your hands." Another place in the book I found it said the camellia was a symbol of love and beauty. I always heard that Yellow Roses meant friendship. ha ha. Big mistake! Hi, Lynn! I'm glad you enjoyed the post. The larkspur is one of my favorite purple flowers. I even named a book after it. I am a bit short on time, as dinner is nigh, but I wanted to make sure I get my comment in on time, as time is slipping past me tonight! :O Oyy. I was trying to gloss over the comments in order not to mention something someone else already thought to say, but I didn't see it *pop* out at me,... you see, I loved the BBC series "Rosemary and Thyme" because it talked about not only the meaning behind the flowers, but how flowers can change how you feel or impact your mood simply by what you choose to grow in your gardens OR keep in vases in your home! There was one particular episode that illuminated your shared descriptions of what each flower "says" in a secret language -- they had "translate" the code in order to solve the mystery! Then, what I thought was brilliant, they re-constructed the arrangement to correctly give the message that was originally intended but was not able to be seen due to the necessity of the message! :) I grieved the loss of the series, to put it mildly!! :( It was cosy comfort and bloomed with knowledge! Being knee deep in the Victorian age more than other time settings, I think I might have needed to have a pocket guide to flowers, as knowing me, I'd confuse one for another and land myself in a heap of trouble!! Laughs!!! Spices and herbs too!? Ooh my goodness -- I would have been well known! I love cooking with such a wicked variety, imagine the gossip hens discussing my 'gardening' habits to all who would hear them! Let alone, if I gave little bundlements of them away to friends! Thanks for ribbing my funnybone whilst entertaining all the 'possiblities' with this post! :) Speaking of which, my favourites had some rather interesting meanings attached to them! Such as: carnations would be impossible to keep straight! ; I think I would have been flooded with Gerber Daisies!, I adore roses, but I'd never go near a yellow one again! Thankfully my favourite colour rose is the red, but that could lead to misunderstanding too! As in a too fanciful heart!? Oyy. And, I thought Jane Austen had it bad in the Regency, sorting through all the balls and society obligations! Hi, Jorie! I'm glad you got the chance to stop by and that you enjoyed the post. I never saw any episodes of Rosemary and Thyme, but it sounds like something I would love to see. Translating a secret code through flowers! Now that would capture my interest for sure. Love the cover and would like to read the book. Thank you for the chance to win it. Hi, Wendy! I love the cover, too. Barbour really captured the essence of the story in that cover. Glad you got to stop by, and good luck in the drawing! I had heard of the language of flowers before but didn't know any of the flowers and their meanings. An interesting article for sure. I would love to try your book, sounds great. I'm glad you enjoyed the post. As I researched the subject, I found it far more intricate than I ever imagined. Thanks for stopping by and for your comment. Good luck in the drawing! Thanks, Linda! Glad you liked it. Good luck in the drawing! How interesting! Love all things Victorian, knew the meaning of several flower varieties, but never knew that they all had meanings - nor the history of flower language. Haven't read any of your books - the latest sounds like one that I would enjoy. Thanks for the opportunity to win a copy! Thanks, Bonnie! From now on when I look at a flower I'll be wondering what it's saying to me. LOL Glad you enjoyed the post. Good luck in the drawing, but either way I hope you get to check out Heart's Heritage. Interesting that red carnations mean my heart breaks! I think that is the color I see most often! I love that Calla Lillis stand for modesty; makes me want to buy a big batch of them for all the girls in the youth group I lead! Hi, Mich. It does make a person think more about their choices of flowers for certain occasions. It's kind of fun to know you can give someone a bunch of flowers and they have no idea what you are really saying. LOL I think gifting your young ladies with Calla Lillis would be a lovely gesture. Really appreciate the lesson! Will have to look into this more! It's always interesting to see what flowers people are buying and speculate why....this could help with that! Thanks for the giveaway! My email is Mossyoakdiver22@bellsouth.net. Hi, Chelle! I'm glad you enjoyed the article. I learned a lot researching it. Nowadays, I'm sure most people choose flowers simply because they like them, but it's fun to speculate. Wow, I love these kind of articles! Thanks for sharing with us! I have been fascinated with the language of flowers since I was little and first read about it. Now to find out what my favorite flower means, Columbine (Aquilegia). You already answered by other favorite flower, Pansies. Hi, Jasmine. Thanks for stopping by! I'm glad you enjoyed the post. I know I learned a lot while researching this subject. BTW, you are named for a very lovely and fragrant flower as well; Jasmine, meaning "You are cheerful and graceful." Thanks for sharing that about my name! Every name book (and I have quite a few) just says "flower" as the meaning of my name. I'm glad I don't have to try to figure out what my husband is saying when he buys me flowers! lol Seems like there could have been quite a few misunderstandings with mistaken interpretations! I'm with you, Bethany. Like I mentioned in an earlier comment, I never look a gift flower in the mouth. LOL I love that your son brings you bouquets of Queen Anne's Lace. I've always liked that flower, too. It grows wild, so it's abundant in rural Indiana where I grew up. Fantasy fits it well, I think. How very interesting Ramona, thanks for sharing! Oh my goodness Ramona, I think I need to change my favorite flower...yellow roses. :) My husband gives them to me for Valentine's Day and our Anniversary. I told him before we were married that was my favorite flower and he has continued to present me with the lovely sweet buds....but 'infidelity'? Ouch. I still love them though and know my husband gives them to me out of pure love and wanting to make me happy. Thank you for your post. I would love to be entered into your giveaway. By the way, I live in Northeast Indiana. Wow who knew flowers could say so much!